There are many things to do in the area this time of year for those looking for a fright fest. Here are some of the “not so family friendly” options. Busch Gardens is hosting the 14th annual Howl-O-Scream, and this year’s theme is Cursed. There will be a Freaky Preview on Friday and Saturday, September 26 and 27. The cost for tickets for the preview is $45. The event starts Thursday, October 2and runs through Saturday, November 1. It will take place on Thursdays, Fridays, and Saturdays with an additional Sunday night on October 19. These 18 select nights will be open for scares from 7:30 p.m.-1 a.m. There will be 300 acres of scare zones and new haunted houses. The haunted houses will have guests screaming at the sight of the ghosts at Dead Fall, trying to escape from The Basement, and hiding from zombies. The park will also debut its new live show, Fiends. Spend evenings running from all of the things that go bump in the night, and don’t forget to ride the roller coasters in the dark. A Thrills & Chills ticket is available for $89 that gives includes admission to both Howl-O-Scream and Busch Gardens throughout the weekend of purchaser’s choice. Visit http://seaworldparks.com /howloscream-tampa/ for different ticket pricings and group deals and to read more about the song of the cursed. This year Halloween Horror Nights at Universal will bring horrors from different movies and television shows. Prepare to survive The Purge at the new The Purge Anarchy haunted house, and witness the attacks in the Alien Vs. Predator house. It will also be bringing back the popular Walking Dead house for the third time. General admission starts at $95.99. There is also the option to attend select nights for different prices. For those feeling brave, purchase the Rush of Fear tickets, valid for any and multiple nights from September 19, 20, 25, 26, 27, 28 and October 2, 3, 4, 5 for just $75.99. Florida residents can save up to $50 on their tickets with a UPC code from Coca Cola products. 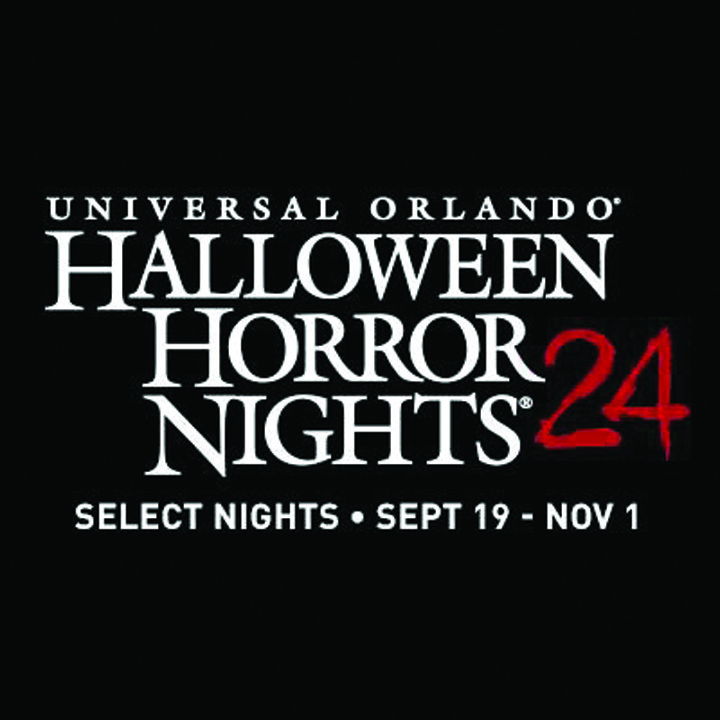 Halloween Horror Nights will be open select nights from Friday, September 19 through Saturday, November 1. Visit www.halloween horrornights.com/ orlando/index.html for more information. 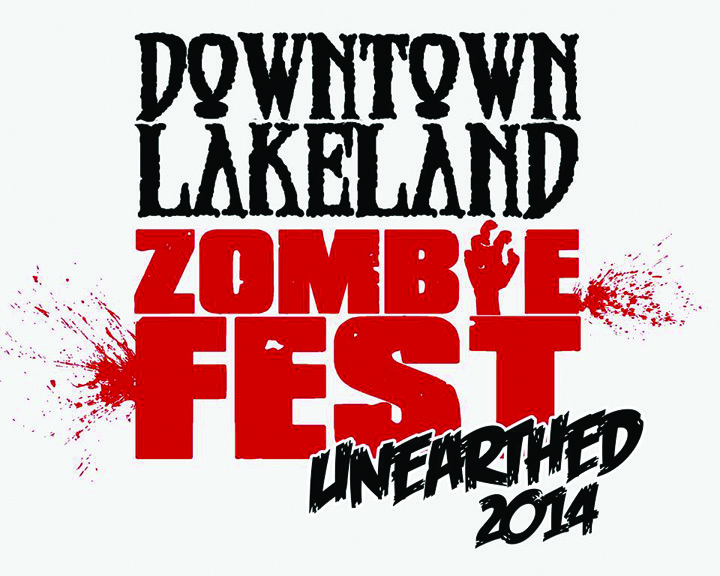 On Saturday, October 11 hit the streets of Downtown Lakeland for the second annual Zombie Fest. This undead event will have scare zones, streets crawling with zombies and much more. There will be music, games, activities, vendors and tons of creepy fun. There is no cost for this event, however some individual events within the Zombie Fest will have a fee. These include scare zones, food vendors, and zombie make-up. This event is located at Munn Park in Lakeland and will take place from 3-10 p.m.This event is for both adults looking for a scary time, and for families. There will be a designated “safe zone” for children where zombies are not allowed and a kid’s area with activities. However, this does not mean that zombies will not be seen. Parental discretion is strongly advised. For more information, visit www.downtown lakelandzom bies.com. A charity event, Zombie Casino Night, will be held on Friday, October 31 from 7 p.m.-12 Midnight at the Event Factory, located at 7565 W. Hillsborough Ave. in Tampa. Half of the money raised from the event will go to the Guardian Ad Litem and Voices for Children programs in Tampa. Tickets cost $25 and include dinner. Cash bar available. Dance to DJ-spun jams and come in the finest Halloween threads. Hit the Zombie Casino with Halloween Casino Cash and try out luck at the roulette wheel, blackjack, Texas Hold’em and craps tables or slot machines. Cash in raffle tickets at the end of the night for a chance to win great prizes. For more details, visitwww.nightheronproductions.com. Delaney Creek will host a Haunted House for Relay for Life. It will take place on Friday and Saturday, October 24, 25 and Friday, October 31 as well as Saturday and Sunday, November 1 and 2 from dark until 11 p.m. and it costs $10 with all proceeds going to Relay for Life. This will be the first ever Haunted house in Brandon. It’s at the Belli Estate located at 2300 Green Lawn St. in Brandon. ​There is going to be an un-haunted house for children under 9. Visit www.hauntedestate.com for more information or call 813-655-8858. There are also plenty of family friendly events in the area for those looking to enjoy a “scary” time with family and friends. Lowry Park Zoo is hosting Zoo Boo again this fall. There will be a Shriek Peek Preview Friday and Saturday, September 26 and 27, and the rest of the dates will be October 3-4, 10-12, 17-19, 23-26 and 30 as well as Saturday, November 1. Zoo Boo will open every night at 7 p.m. The cost for a ticket to the Shriek Preview is $12 and general admission for regular nights starts at $14 for children ages 3-11 and $18 for ages 12 and up. This is the largest family Halloween event in the Tampa Bay Area. Attractions will be ranging in “scare factor” with haunted houses and trails. For each of the six haunted houses, there will be a rating from 1-7 of how scary it is. There will also be season displays of music and lights and night rides. A Spooky Fun Fair and Little Beasties Bungalow are also at Zoo Boo with games and rides. New this year is the “London Frightmare” inspired by England’s supernatural legends. Visit www.lowryparkzoo.com/zoo boo/index.html for more information. Held at Magic Kingdom, Mickey’s Not-So-Scary Halloween Party is held select nights from 7 p.m.- 12 Midnight Monday, September 1 to Friday, October 31. Guests can dress up in a favorite costume, trick-or-treat their way through the park and see some of their favorite Disney Characters dressed in costumes as well. Enjoy Mickey’s Boo-to-You Halloween Parade and Happy HalloWishes, and end the night with the Villains Castle Show. Tickets are $66 for children ages 3-9 and $71 for ages 10 and up. Visit https://disney world.disney.go. 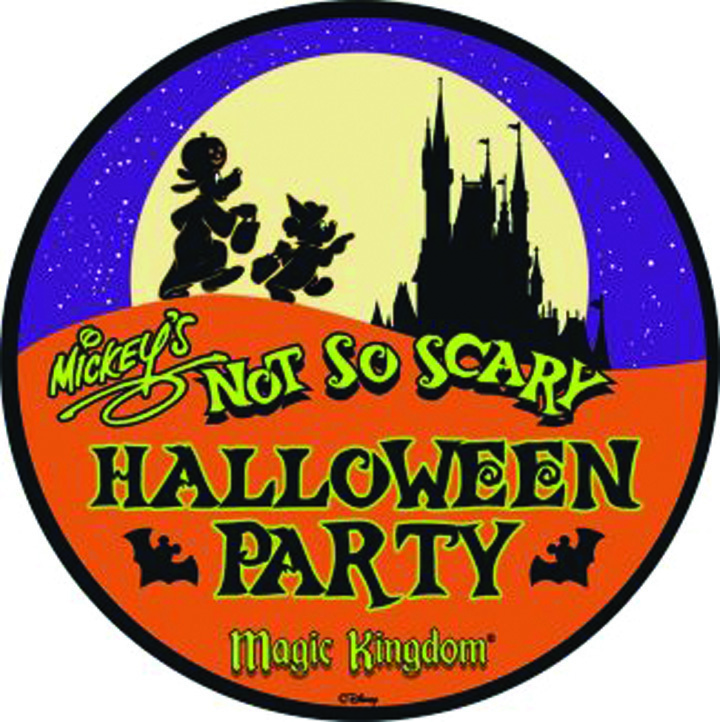 com/events-tours/magic-kingdom/mickeys-not-so-scary-halloween-party/ for more information. On Sunday, October 26 from 4-8 p.m. join the Florida Aquarium in celebrating its annual Guppyween. Dress up in costumes and roam around the aquarium to trick-or-treat tank-to-tank among the 20,000 sea creatures. This event is family-friendly and entertainment and treats will be provided. The prices are $5 for kids in costume, $15 for adults age 12 and over, and free for Florida Aquarium Members. For more information, visit http://www.flaquarium.org /event-calendar.aspx. Enjoy safe and family-friendly Halloween festivities every Saturday and Sunday this October at Legoland Florida’s Brick-or-Treat. Ghosts, ghouls and goblins will descend on Miniland USA transforming it into a haunted adventure with a scavenger hunt in search of these scary creatures that have invaded the famous cities. 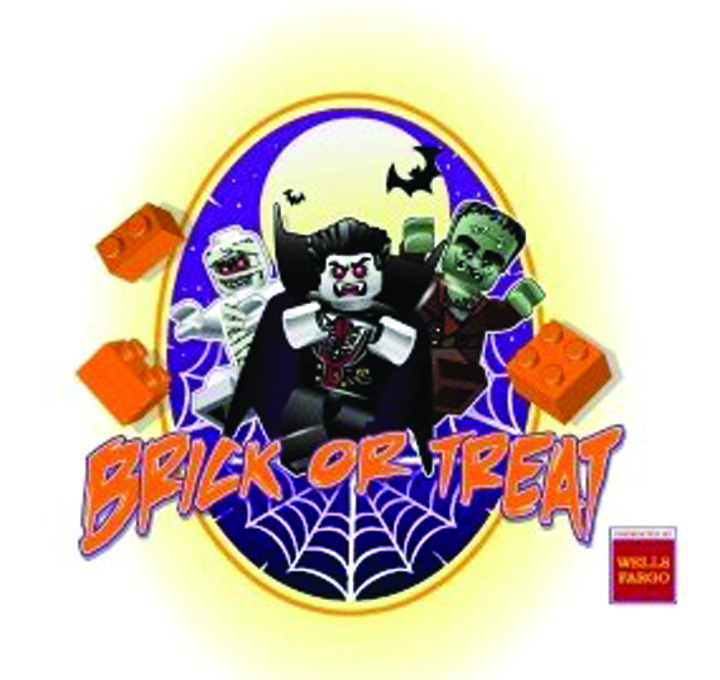 This spooky event features trick-or-treating along the brick-or-treat trail, super brick build activities, the largest LEGO Jack-O-Lantern in the world, Halloween entertainment and an all-kids costume contest with brick-tastic prizes. Legoland is located at One Legoland Way in Winter Haven. Visit http://florida.legoland.com /en/Plan/Special-Events/Brick-or-Treat/ for dates and prices. Celebrate Halloween with Sea World on weekends in October with family. Penelope’s Party Zone is full of families dancing to spooky sound waves and watching colorful pumpkin fish swim by. Make sure to wear a costume to trick-or-treat through the park, and trick-or-treaters can follow their Halloween Spooktacular maps to all the different stations. For more information and ticket pricings, visit http://seaworld parks.com/en/seaworld-orlan do/spooktacular/. The Center Place Fine Arts and Civic Associates will host its 17th annual Halloween Horribles Parade at the Center Place, located at 619 Vonderburg Dr. in Brandon, on Sunday, October 26 from 3-5 p.m. This family friendly event is for children ages 3-10 and must be accompanied by an adult. The event is free but each child needs a ticket that can be picked up at Center Place beginning on Wednesday, October 1. The parade line up begins at 2:30 p.m. on the Center Place deck area. The parade route travels from Center Place down South Parsons Ave., past Brandon Regional Hospital, then back up Vonderburg Dr. ending at Center Place. The route is lined with vendors from ara businesses and organizations who will have Halloween treats avaliable for all costumed children. For more information, or to participate as a business vendor, call 685-8888. On Friday, October 31 the community is invited to join Journey Church of Brandon located at 1310 John Moore Rd. in Brandon for its third annual Trunk or Treat event. Bring children, family and friends and enjoy free games, good, snow cones, a bounce house and face painting. Pictures of the children and families in costume will be taken and e-mailed to guests for family to enjoy. Also back by popular demand is the annual donut eating contest. Call 597-6426. South Shore United Methodist Church is getting into the Halloween spirit this year by offering car trunks full of candy decorated in zany Halloween scenes, popcorn and family-friendly movies, hay rides and more in a free and safe event where families can enjoy the festive decorations in the car trunks, trick-or-treat and get into the Halloween spirit. This is an event that the whole community can enjoy. Trunk or Treat will take place on Halloween Night, Friday, October 31, from 6-8:30 p.m. Bring friends, family and neighbors. South Shore United Methodist Church is located at 11525 Big Bend Rd. in Riverview. Visit www.southshoreumc.com. Kings Avenue Baptist Church will hold CLOWN AROUND on Friday, October 31 from 6:30-8 p.m. This is for pre-school children through the sixth grade. There will be inside games, candy, costume prizes, face painting and more. Admission is one bag of wrapped candy. The church asks no ghosts, goblins or other scary costumes. Kings Avenue Baptist Church is located at 2602 S Kings Ave. in Brandon. Visit www.kingsavenue.org. Sunset Bay Chapel is hosting its second Annual Community Trunk or Treat on Friday, October 31 from 6-8 p.m. Bring the family and enjoy the imaginative trunk themes and crazy creations while the kids collect treats. Individuals interested in decorating their own vehicle and passing out candy, register a vehicle for free at www.sunsetbaychapel.com. A section of the parking lot will be blocked off for event participants only. Sunset Bay Chapel is located at 6026 Churchside Dr. in Lithia. First Baptist Church of Brandon will hold its annual Fall Festival, Noah’s Arkade, on Friday, October 31. Admission is free and open to the community. It asks guests to bring one bag of soft, wrapped candy per child. Attendees will find games, food, candy, music and more. Hamburgers, hot dogs, sodas and other items will be available for a nominal charge. No scary makeup or costumes allowed. Food vendors will open at 5 p.m. and game booths will open at 6:30 p.m. First Baptist Church of Brandon is located at 216 N. Parsons Ave., just one block north of Brandon Blvd. Call 689-1204. A Fall Festival will take place Sunday, October 26 from 5-7 p.m. all over campus at First United Methodist Church of Brandon, located at 121 N Knights Ave. Schoolchildren and their families are invited. Last year, an estimated 1,500 people attended. 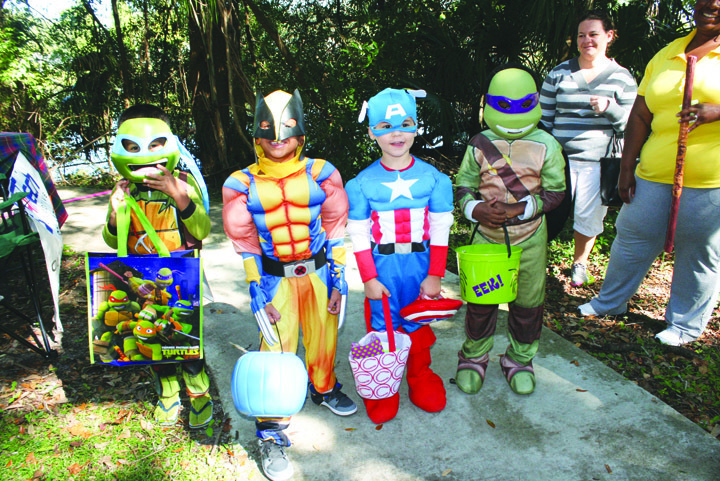 Trunk n’ Treat runs from 5-6:45 p.m. and will feature a parade of children. There will be tattoos and face painting, a cake walk, hay rides, giant inflatables, hot dogs, and more, and it is free. It will have a Prayer Wall in conjunction with the Hispanic congregation to pray with those in attendance. And new this year, it will host an engaging Family Worship Experience at 7 p.m. Call 689-4161. River of Life Christian Center’s Light Up The Night festival will be held on Friday, October 31 from 6:30-9:30 p.m. There will be games, inflatables, dodge ball and laser tag. There will also be food trucks and the Kona Ice Sno Cone truck. The event and activities are free; food is available for purchase. Costumes are welcome, but guests are asked to leave the monsters and zombies at home. It is located at 6605 Krycul Ave. in Riverview. Call 677-4453. 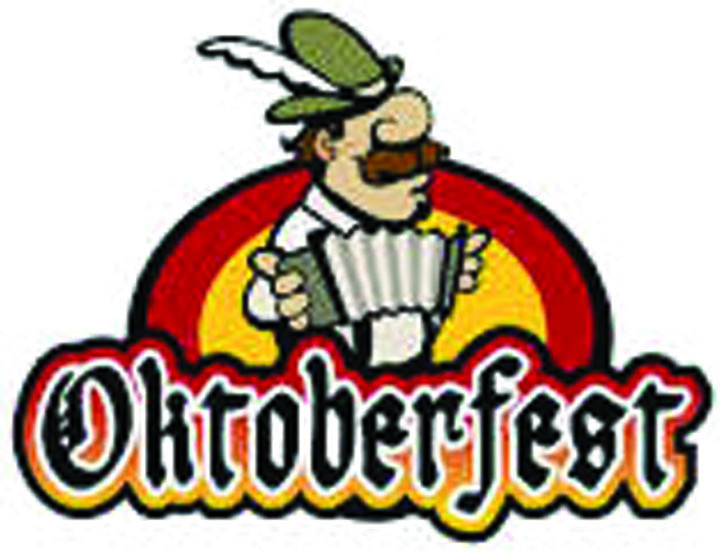 Autumn means it is time for Immanuel Lutheran School’s (ILS) Oktoberfest. The event is Saturday, October 18, from 11 a.m.- 3 p.m. at 2913 John Moore Rd. in Brandon. Oktoberfest includes carnival-style games, bouncy houses, a petting zoo, pony rides, a mechanical bull ride, a kiddie train, a costume contest, a pie-eating contest, a vendor showcase, German food, bake sale, live entertainment and more with no entry fee. Tickets for games and attractions are available at the door or in advance at a discount in the school office or from any ILS student starting Thursday, October 2. Call 685-1978 or visit www.ilsbrandon.com. Center Place Fine Arts and Civic Association (Center Place) has issued a call to all goblins, witches, ghosts, princesses and superheroes in the greater Brandon area to attend the 17th Annual Halloween Horribles Parade. This family friendly event is set to take place on Sunday, October 26 from 3-5 p.m. at Center Place located at 619 Vonderburg Dr. in Brandon. The 17th Annual Halloween Horribles Parade is for children ages 3 to 10. All children must be accompanied by an adult. The event is free but every child needs a ticket. The tickets will be available at Center Place beginning on Wednesday, October 1. The parade line up begins at 2:30 p.m. on the Center Place deck area. The parade route travels from Center Place down South Parsons Ave., past Brandon Regional Hospital and then back up Vonderburg Dr. and ends at Center Place. The parade route is lined with vendors from the area’s finest businesses and civic organizations who will have Halloween treats available for all of the costumed children. “The Halloween Horribles Parade has become a tradition here in Brandon for a fun and safe trick-or-treat event. We have 1,000 children, along with their parents, come out dressed in their Halloween costumes and walk the parade route. Even the adults dress in costume and have a great time at this annual event,” said Dawn Galia, Executive Director of Center Place. “We really appreciate all of the local businesses, civic and service organizations who provide the trick-or-treat stations for the parade route. If there is a new business that wants to participate, all they need to do is call us at Center Place at 685-8888. Center Place was created by the community in 1976 to provide a central venue that would allow for the promotion of the arts in Eastern Hillsborough County. Center Place is a non-profit organization. It offers cultural enrichment opportunities for all ages through a variety of programs including original art exhibitions, education and the performance of art. In addition, Center Place hosts events such as Halloween Horribles. For more information, visit www.centerplacebrandon.org or call 685-8888. The Brandon Ballet’s Artistic Director, Octavio Martin, invites the public to come see the ageless classic Dracula, on Sunday, October 19 at 5 p.m. at Centro Asturiano de Tampa located at 1913 N. Nebraska Ave. in Tampa (Ybor City). This spooktacular is great for families but it is not recommended for children under seven. Tickets are $20 for adults, $10 for children ages 18 and under and $15 for seniors 55 and older. The Brandon Ballet’s Dracula is based on Bram Stoker’s 1897 Gothic horror novel. Dracula tells the story of Dracula’s attempt to move from Transylvania to England, and the battle between Dracula and a small group of men and women led by Professor Abraham Van Helsing. While Stoker did not invent the vampire, he defined its modern form, and the novel has been the footprint for various theatrical, film and television interpretations. The Brandon Ballet was founded in 1993. It is a non-profit regional ballet company that develops and promotes opportunities for aspiring young dancers. The Brandon Ballet strives to make the performing arts accessible to the community. Tickets can be purchased online at www.tututix.com/brandonballet or call 684-4282. The Firefighter Training Show is not only entertaining but educational as well. Participants are chosen from the audience, donned with firefighter gear, and invited to participate in a “smoke-eater’s” competition. At the conclusion of the show, younger members of the audience are given the opportunity to crawl through the firehouse smoke and learn valuable tips on fire safety for the entire family. 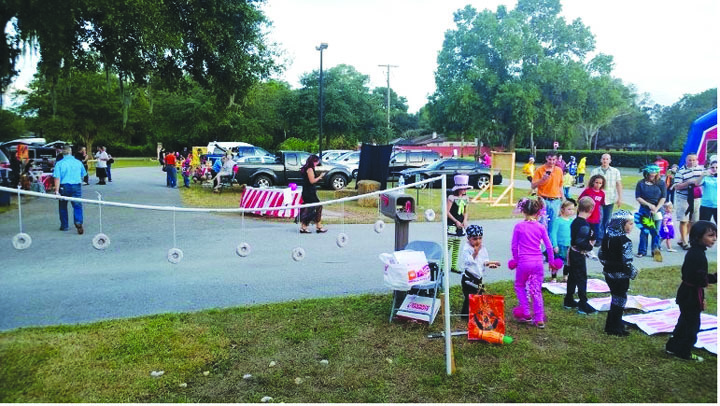 Don’t forget Hayrides, Round Bale Decorating, Children’s Pageant, Harvest Awards, Swine Sale, Fine Arts Show, Photography Show, Family Living, Recycled Yard Art Contest, Talent Showcase, Hometown Hillsborough, and fair food including funnel cakes and BBQ, corn dogs and roasted corn, and the Rotary Chili Cook-off. 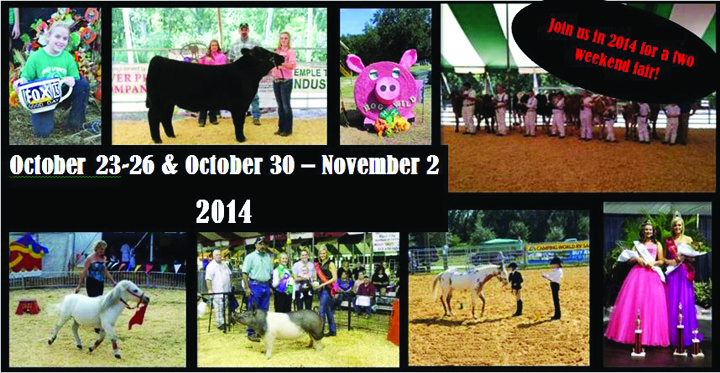 The Youth Horse Show, Bay Area Bandits Shooting Match and the Midway Rides complete the full fair venue. Fairgoers can buy an arena ticket in advance for $10 which includes entrance for the fair on that event day at no charge, a savings of up to $7. 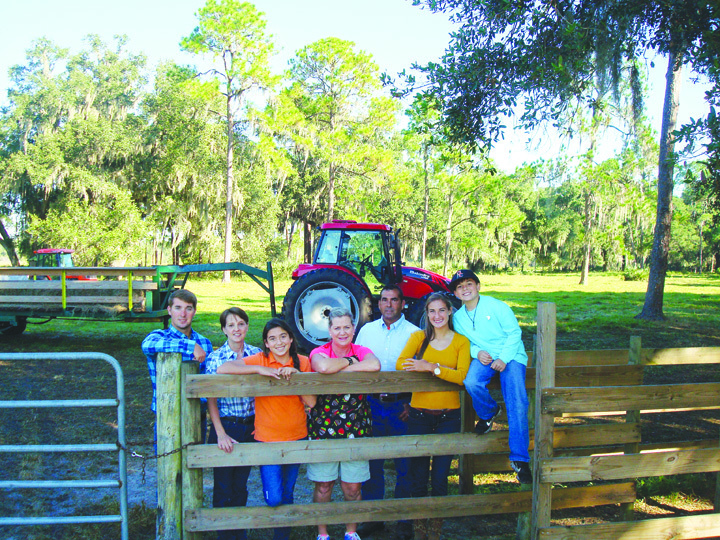 For more information, visit www.hillsboroughcountyfair.com, call 737-3247 or e-mail hillsboroughcountyfair@verizon.net. The fair entrance is located at 215 Sydney Washer Rd. in Dover. Howl-O-Scream 2014 returns to Busch Gardens Tampa with tormenting surprises and unexpected terrors around every corner, including the events newest haunted house, Dead Fall. Inside Dead Fall, the ghosts of long lost memories reach into the present and will not be forgotten. These spirits from the past lurk in the shadows of this Victorian garden and greenhouse, longing to drag unsuspecting guests into their world. Visitors will have to try to escape before becoming a permanent resident of Dead Fall. In 2013, Busch Gardens included their Facebook fans in planning Howl-O-Screams new haunted house, Death Water Bayou. Fans chose three key elements of the house, and then saw their vote come to life when they visited the event. Back by popular demand, fans once again had the opportunity to vote on three key elements of Dead Fall, including the name of the estate, a murder tool one of the residents fell victim to, and the name of one of Dead Fall’s residents. Voting started in August on the Howl-O-Scream Facebook page and took place in a series of three Facebook polls over the course of three weeks. Freaky Preview is back to open Howl-O-Scream 2014 on Friday, September 26 and Saturday, September 27. The event then runs Thursday through Saturday nights, October 2-November 1. Howl-O-Scream will also be open on Sunday, October 19. Operating hours are 7:30 p.m.-1 a.m.
Get tickets early and save on a single terrifying night at Howl-O-Scream 2014. For a limited time, any single-day admission to Howl-O-Scream 2014 is $47. There’s safety in numbers, so a guest and three friends can also save on a pack of four or more tickets to Howl-O-Scream 2014 on Thursdays, starting at $35 per person. 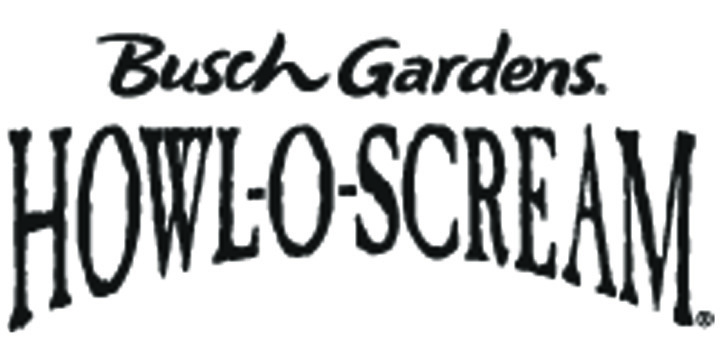 Busch Gardens Tampa pass members can take advantage of their limited time exclusive discount on any single-night admission to Howl-O-Scream 2014 for only $42. Stay tuned to HowlOScream.com for the latest terrifying details. Howl-O-Scream 2014 is a separate ticketed night event. No costumes are allowed. For guest information, visit HowlOScream.com or call 1-888-800-5447. For more updates and pictures, follow Howl-O-Scream on Facebook at www.facebook.com/HowlOScream and Instagram with the handle @howlo scream.